This is an astonishing time for UK politics, no matter where you see yourself on the political spectrum. With a severely weakened Prime Minister, and a Labour Party still struggling for unity, the future political direction of the UK (indeed, the very nature of our democracy) is very much in the balance, both in terms of Brexit, and wider policy choices. At the Politics Summer School we will be exploring the underlying reasons for the radical shifts of recent years, and equipping students with the knowledge and analytical tools to begin to develop their own opinions as to where we will go next, and how they might be a part of those changes. With seminars and workshops on both political science and theory, including the future prospects for democratic decision-making, representation and freedom, human rights, populist movements and political economy, this Summer School offers a fast-paced and fascinating look at a discipline which is in a state of very rapid development. 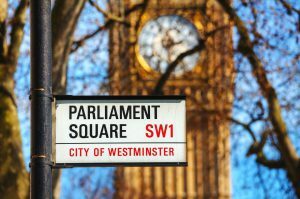 In addition to small group seminar-style classes, this five-day Summer School also offers an exciting combination of practical activities including a full day Mock Parliament, in which students take on the role of MPs, Ministers and Party Leaders. This event is great for anyone who is interested in a political career, or who would like to know how to get more involved or informed about the world around them. It is particularly recommended for anyone considering Politics, PPE or related disciplines at university. This is an interesting time for UK politics, no matter where you see yourself on the political spectrum. With a severely weakened Prime Minister, and a Labour Party still struggling for unity, the future political direction of the UK is very much in the balance, both in terms of Brexit, and wider policy choices. At the Politics Summer School we will be exploring the underlying reasons for the radical shifts of recent years, and equipping students with the knowledge and analytical tools to begin to develop their own opinions as to where we will go next, and how they might be a part of those changes. With seminars and workshops on both political science and theory, including the nature of democracy, representation and freedom, human rights, populist movements and political economy, this Summer School offers a fast-paced and fascinating look at a discipline which is in a state of very rapid development. The Politics Summer School is open to students aged 15 – 18, and will take place 29th July – 2nd August (and repeated 12th – 16th August) 2019. The cost of the five-day Politics Summer School is £495 per student – to secure your place you will need to pay a 50% deposit, with the balance payment due eight weeks in advance of the course start date. To book a place or places at the Politics Summer School, or if you have any further questions, simply call on 0800 8101058, email info@debatechamber.com, or book online.